As you can imagine, we have many tricks up our sleeves to tame our sweet tooth– and our clients’– and yours, too! One of the best secrets? By including natural sugars like those in fruits (that also come with fiber and health-promoting nutrients) you can really prevent your sweet tooth from getting the best of you. It really helps to fight cravings! We find that many of our clients tame their sweet tooth if they give it a little healthy love at breakfast. That’s why we’ve created these smoothies: Blueberry Lemon Detox Smoothie, Matcha Green Tea Smoothie, Rise & Shine Delicious Smoothie Wake Up Smoothie and now this Cocoa Banana Burst Breakfast Smoothie. This Cocoa Banana Burst Breakfast Smoothie is the perfect way to start our summer mornings- and squash a sugar craving! It’s delicious, refreshing and and provides the perfect burst of energy before a workout! It’s just the boost we need to help kick us into action in the heat because it’s a cool burst of bananas, cinnamon and CocoaVia cocoa flavanol supplement–to rev our workout. (We used CocoaVia cocoa and we were working with them and love it, but if you don’t have it, simply substitute cocoa powder or raw cacao powder–delicious and healthy too!). 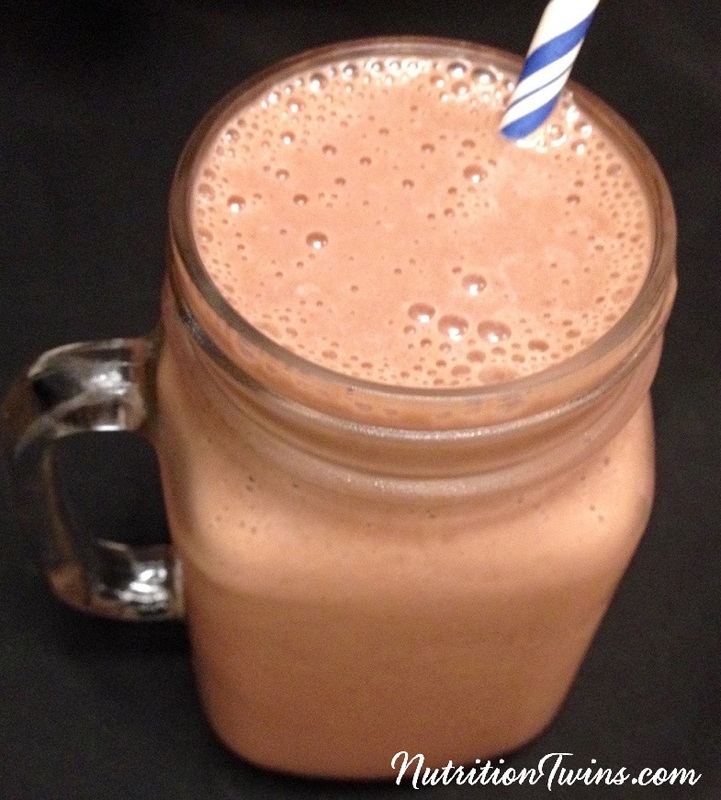 The Nutrition Twins worked with Cocoavia to develop this delicious smoothie.